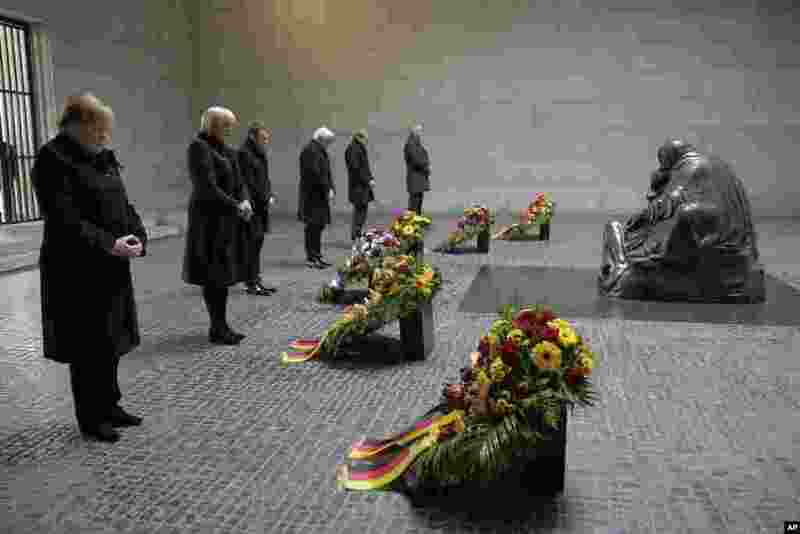 1 From right: German Chancellor Angela Merkel, Vice President of the German Parliament Bundestag Claudia Roth, France's President Emmanuel Macron, German President Frank-Walter Steinmeier, the President of Germany's upper house Bundesrat Daniel Guenther and the President of Germany's Federal Constitutional Court Andreas Vosskuhle attend a wreath laying ceremony at the Central Memorial for the Victims of War and Dictatorship in Berlin. 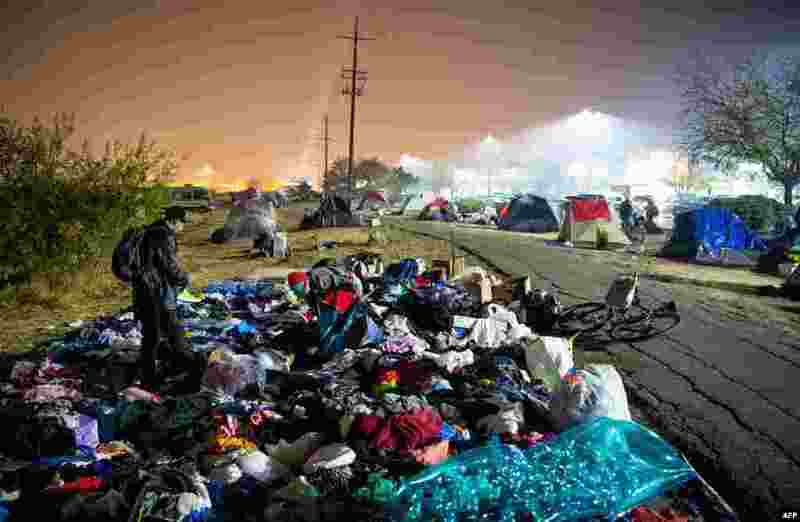 2 Evacuees sift through a pile of clothing at an encampment in a Walmart parking lot in Chico, California, Nov. 17, 2018. More than 1,000 people remain listed as missing in the worst-ever wildfire to hit the U.S. state. 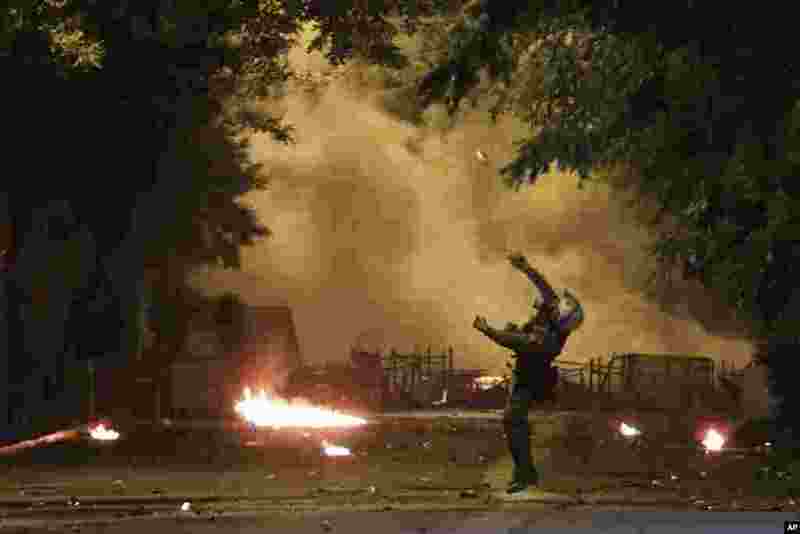 3 A riot policeman throws a stun grenade during clashes outside the Polytechnic University in Athens, Greece, Nov. 17, 2018, on the 45th anniversary of a student uprising against the country's then-ruling military regime. 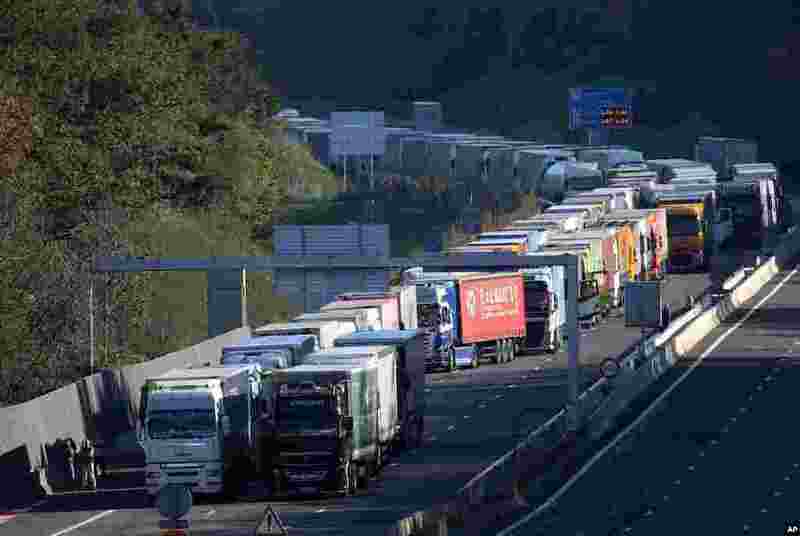 4 Trucks are blocked on the motorway at the border between France and Spain in Biriatou, southwestern France, Nov.17, 2018. French interior ministry officials say that one protester has been killed and more than 40 injured as demonstrators block roads around France to protest gas price increases.